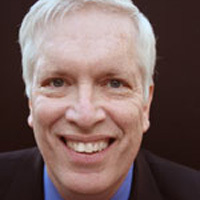 Michael S. Sparer, J.D., Ph.D. is Professor and Chair in the Department of Health Policy and Management at the Mailman School of Public Health at Columbia University. Professor Sparer studies and writes about the politics of health care, with a particular emphasis on the health insurance and health delivery systems for low-and-middle income populations, both in the United States and globally. His current projects include a study that evaluates the implementation of the insurance exchanges created by the Patient Protection and Affordable Care Act, an examination of organizational and political dynamics that encourage successful (or unsuccessful) Accountable Care Organizations, and a book that examines the role of federalism in health politics (both in the United States and cross-nationally). He is a two-time winner of the Mailman School’s Student Government Association Teacher of the Year Award, as well as the recipient of a 2010 Columbia University Presidential Award for Outstanding Teaching.